Study criminology at an advanced level and gain a relevant, in-depth and sophisticated understanding of contemporary criminological theory, as well as the necessary skills to strengthen your competence as a learner and practitioner. Benefit from a flexible approach to learning, studying the course where and when you want to. Explore and explain the causes of crime through theoretical approaches, in practice or via work-based learning, and open the door to a successful and fulfilling career. You will engage with real world problems and issues. You will be inspired by renowned external speakers, student presenters and core lectures at our bespoke symposiums. You’ll also participate in contemporary and relevant applied criminological research through our strategic partnerships with regional, national or international criminal justice agencies and rights organisations. You will find career opportunities in a diverse range of settings. Engage with real world problems and issues - the MSc Criminology adopts a problem-based approach to learning. Be inspired by renowned external speakers, student presenters and core lectures at our bespoke symposiums. Learn from internationally recognised, research-active staff who ensure the programme is at the cutting edge of developments in criminological theory and criminal justice policy and practice. Benefit from a blended learning environment which provides supportive and flexible learning, suitable for traditional, distance and part-time learning. Participate in contemporary and relevant applied criminological research through our strategic partnerships with regional (police, youth justice, probation), national (Howard League for Penal Reform, Children’s Rights Alliance, Prison Reform Trust) or international (Amnesty International, United Nations High Commission on Human Rights) criminal justice agencies and rights organisations. Choose a career in the private, public or third sector – highly transferable skills mean you will find career opportunities in a diverse range of settings. During this year you will study core modules in criminological theory and research design, covering the advanced study of critical and theoretical perspectives within criminology and criminal justice and preparing you for writing a dissertation. 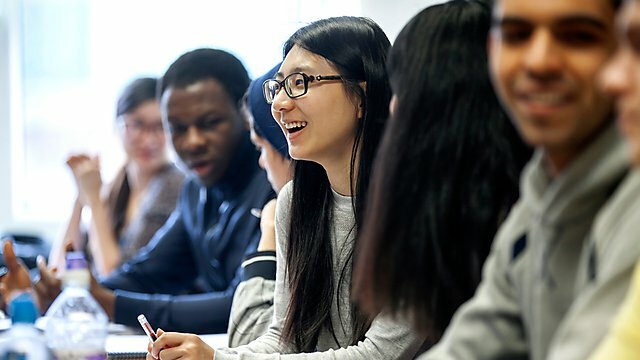 You will have the opportunity to choose from a wide range of modules which reflect key areas of interest within criminology, including anti-social behaviour, comparative victimology, crime and the city, women crime and criminal justice, and innovations in global justice. Gain a relevant, advanced and sophisticated understanding of contemporary criminology, and the skills necessary to strengthen your competencies as both a learner and practitioner. The dissertation module provides the opportunity for students to undertake a supervised, self-directed, research project of around 15,000 words on any criminologically pertinent topic of their choice, independent of the modules they have studied. It will make use of the IT, library, and other research and scholarly skills learned within the Criminological Research module and developed through subsequent modules. This module considers crime within the context of wider society and culture. In doing so the module examines the impact of late modern social change on crime and deviance, particularly focusing on: leisure, consumerism and harm; protest and social movement, and; urban environments. This module sets out the contemporary nature of governance in society that informs criminal justice processes and practices. The module specifically focuses on how policing and penality occur within a pluralising environment by considering how `white collar¿ and young people are treated as offenders. This module examines how vulnerabilities manifest in late modern society via processes of criminalisation that are a consequence of structural inequalities. The module considers how different identity groups experience crime and justice and how crime issues arise that augment that vulnerability. "This module identifies core criminological theories and concepts from an advanced perspective. It allows students the opportunity to develop critical responses to existing criminological theoretical discourses. Students can flexibly and creatively apply theoretical ideas within unfamiliar contexts. " This module consists of two distinct elements. In the first element, dilemmas and issues arising from different criminological research methodologies are explored and analysed. In the second element, the application of different methodological approaches to policy and practice issues is assessed and analysed. This module introduces students to key contemporary issues in criminology and criminal justice. In the first element, it overviews the intellectual origins of the discipline and the underlying politics that have surrounded crime and criminal justice throughout history. In the second element, it explores the key areas of criminological inquiry in the 21st century to provide a foundation for the rest of the programme. Please note we are unable to sponsor students requiring a Tier 4 Visa for the MSc Criminology programme. You should have a second-class honours degree or equivalent, or an equivalent professional qualification. Other qualifications accompanied by substantial experience in an appropriate field may also be considered. Non-standard applications will be considered on a case by case basis. The programme is at the cutting edge of developments in the field, and I was particularly pleased to see modules such as crimes of the powerful, race, surveillance and gender, offering an enticing suite of options and pathways for students. Study either full time or part time, with a combination of distance learning and face-to-face contact. View podcasts, engage in online discussions and access a wide range of materials and resources. Designed to suit your lifestyle, flexibility and community are at the heart of our teaching. Blended learning is a method of educational delivery in which students learn through a combination of online digital media and traditional classroom-based methods. On the MSc Criminology programme at Plymouth University, the vast majority of your learning will take place within our own Digital Learning Environment (DLE). Your lecturers will provide online podcasts, vodcasts as a form of ‘digital lecturing’ and students will be required to engage in online discussion forums as a type of digital seminar. This online learning will be supplemented by symposium events. These are conference style events that take place three times a year, with each symposium event lasting two-three days. These involve traditional lectures and seminars, workshop sessions, and invited guest speakers who are experts in the field to present their cutting-edge research. Students will also have the opportunity to communicate with staff via email, or through face-to-face supervision meetings. This style of learning is deliberately flexible and student-led, suitable to those with work, parenting or carer commitments. Engage in contemporary, relevant and applied criminological research, through the completion of your dissertation. Pursue your own research idea or work on one of a number of existing research questions. Collaborate on one of our strategic partnerships with regional, national and international criminal justice agencies and rights organisations. The Crime, Justice and Society research group facilitates inter-disciplinary research with crime and social harm at its centre. The group, instigated at a time of social, economic and political upheaval aims to identify, explore and explain key directions of change in the context of regional, national and global impact.